At every wedding you attend as a wedding guest, you’re inevitably faced with the age-old question: What gift should you give?.. This is a question that many guests have on their mind when planning to attend the wedding of a family, friend or colleague. Most times, the guests are confused and not certain what exactly the couples like or need as they prepare to set up their new home after the wedding. 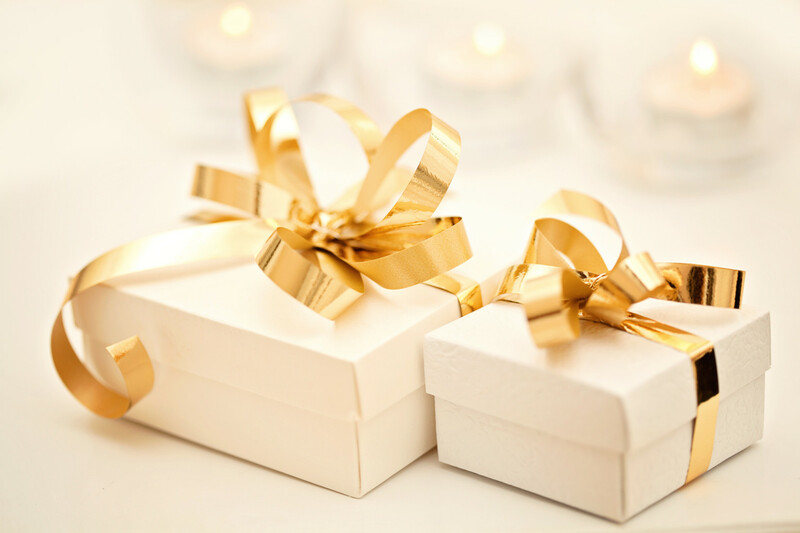 We have compiled five rules for giving wedding gifts they’re guaranteed to love. Don’t get too creative: Nearly 85% of brides want you to select a wedding gift from their wedding registry list, and 98% have at least one registry list, either in a store or on the web. Look online to see where the couple is registered: 4 in 10 couples have a wedding website that links to their online registry. The couple set up the registry for a reason, and if you stick to it, you can’t possibly buy a gift they won’t like! Unlike years past, today’s couples want modern twists on the traditional wedding gifts, even though some of the most coveted gifts still hail from the kitchen, dinning, bedding, and bath departments. For deluxe bedding and bath, give them gifts that’ll create a spa-like, hotel environment every morning when they wake up. Think about buying them a trio of gifts to create a theme: What about a set of super-soft pillows, a thick down blanket, and a pair of high thread-count hotel towels? In terms of entertaining, everyday affairs are big for brides, so consider giving a set dishes and stainless flatware that can multitask — and either be dressed up for dinner with the boss or dressed down for a backyard barbecue. It seems everyone wants to be a gourmand these days, and many couples use their wedding as an excuse to upgrade their kitchen with top-notch appliances. Give state-of-the-art kitchen gear, gadgets, and cookware that look as good on the counter as they do when in use. It’s a bad idea to use the price-per-plate as a measure for how much you should spend on the wedding gift — you wouldn’t give your best friend a less expensive gift just because she was having a more casual affair. Spend what you think is appropriate to your relationship to the couple, and also consider what’s reasonable in your city. While a co-worker or friend may expect a gift in the N10,000 -N20,000 range, someone in an urban market may have double the expectations. Most couples actually like it when they receive big gift from a group of friends or Co-workers. Most times these items might be way out of your budget but it is not a bad idea to use the contribute to buy feature on their Gift Registry. If the couple has registered for an item that’s out of range for just one person to afford, ask some other guests to chip in with you. It’s also a great idea for the bridal party to band together and buy the couple the item of their dreams. Two out of three newlywed couples polled told Kohl’s Bridal Aisle, they still haven’t received all of their wedding gifts, which left us wondering — what ever happened to the longstanding one-year rule? With the convenience of online buying and shipping, there’s little excuse for such a delay — try to send your gift within two months of the wedding. And though you’re excited for them to see it, don’t bring it to the wedding — they won’t want to lug it around, and it could get damaged during the night. Purchasing from their registry and having it shipped straight to them will make things easier for everyone!